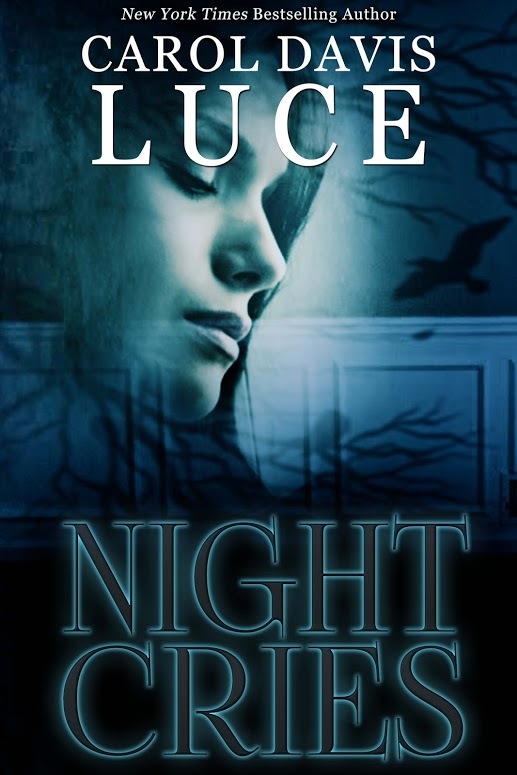 For the first time in one volume, three of the ‘night’ novels by Night Writer, Carol Davis Luce. The ‘night’ books are standalone thrillers that go bump in the night. Over 48 Five-Star Reviews. This volume contains two Amazon bestselling novels, and the newest release. Then one day she picked up the phone. In the background she could hear a scratchy record—an old song that brought dark memories out of the shadows. That night something woke Alexandra out of a sound sleep. This time, the heavy breathing wasn’t coming from the telephone. Someone was in house with her. And she was at his mercy. 4 weeks in the Top 100 Best Sellers in Kindle Store. 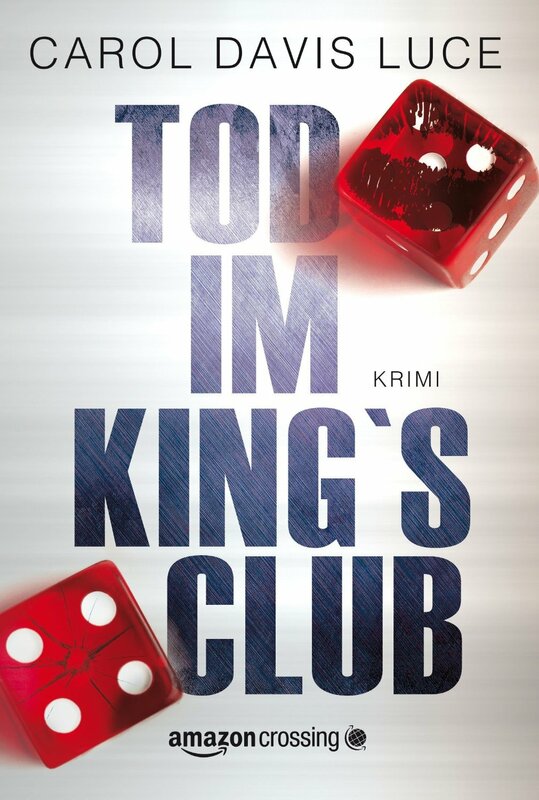 The exclusive King’s Club resort casino is a glittering playground for gamblers with everything to gain…and the hunting ground for a shadowy killer with nothing to lose. So far, the odds are in his favor. Until casino owner Jay King places his bets on a beautiful private investigator. . .
Kasey Atwood is an expert at undercover surveillance, and no stranger to this dazzling world of high stakes and low morals. Her attraction to the sensual, enigmatic King is immediate—and incendiary. As their love affair heats up, she becomes a pawn in a dangerously seductive game of passion and revenge. Then more innocent blood is shed, and Kasey knows she can’t afford to make one false move. At risk is nothing less than her heart—and her life. . . Helping people get out of jail has always been a part of my life, just like stepping over the drunks on Bourbon Street. My grandfather started O’Malley Bail Bonds in 1943. By the early sixties, my father was at the helm. I couldn’t have been more than seven when he first started taking me to work with him everySaturday. I’d wait on those wooden benches at the courthouse, watching as he bailed out the most hardened criminals in the city. By the time I was a teenager, I knew every crook in the city of New Orleans. And they knew me and my family. Late-night phone calls from drunk drivers, domestic abusers, and murderers were the norm for us. So it was only natural that when I graduated from Louisiana State University—with a degree in business management—I officially joined the family business. Little did Iknow that I would one day find myself on the wrong side of the law, and need someone to bail me out. I had to give my grandfather credit. He had set up shop in the right place. For decades, New Orleans ranked among the top five cities in the United States for murders per capita. That meant we had more work than we could handle. Then Hurricane Katrina came along in 2005. After the notorious storm, business slowed quite a bit. Most of our clientele moved on to greener pastures in Texas, northern Louisiana, and other states along the Gulf Coast. I took advantage of that lull and started getting more involved in my children’s school and extracurricular activities. I became the soccer coach for my son’s team, the Red Devils. Patrick was eleven and a star soccer player. He loved playing goalie—a position that was perfect for his tenacious personality. With his fierce blue eyes and dark wavy hair, Patrick was the spitting image of me when I was his age. He’d learned plenty from his older sister, Mary Katherine, who was also a star soccer player. She was thirteen and held her team’s record for most goals scored in a single season. Mary Kate, as we called her, had her mom’s beautiful blonde hair and green eyes. But she had my street-smart attitude and tough-as-nails exterior. Even though she was becoming a teenager, an age that most dads feared, I didn’t worry about her. I knew she could handle herself when it came to boys and their hormonal urges. She’d already been sent home from school twice for beating up a boy who’d just looked at her the wrong way. My wife, Erin, was a stay-at-home mother as well as an artist. When the kids were at school, she painted watercolors that she put on consignment in local art galleries and a few select upscale restaurants and cafés. I’d always supported her creative side, until it put our marriage in jeopardy. I knew I’d have to confront her eventually, but I couldn’t stomach it yet. Instead, I kept busy with the family business and took on more responsibility in our kids’ lives to avoid her. Going through the motions helped me sustain a sense that life was normal, which was why our Wednesday night family ritual seemed more important than ever. We hadn’t deviated from it for nearly a year. I’d leave work early and head home to change into shorts and a Red Devils jersey. Then I’d load up the family SUV to make the short drive to the soccer fields at the city park. From four to six, the kids had soccer practice. Afterwards, we’d head home, and while Erin helped the kids with homework, I’d grill steaks on the back deck. My older brother Chris, who was also my business partner, would come over with his wife, and we would all eat dinner together. Every Wednesday night, without fail, this was our thing. At least, it was until one Wednesday, when everything changed. Instead of getting ready to leave for practice, I found Erin lying down in our bedroom with a washcloth covering her forehead. “Hey, what’s going on?” I asked quietly. “Did you take anything?” I asked her, growing concerned. With the exception of morning sickness, which she’d had with both pregnancies, Erin was never sick. It crossed my mind she could be pregnant, but then I dismissed the idea. This was the person I teasingly called superwoman because she never missed any activity the kids were involved in. I loved her. No matter the skeletons she was keeping in her closet. The lights were off and the blinds were closed tightly. Only a sliver of light snuck in from the adjoining bathroom. I fumbled around the nightstand to turn on the lamp. She moaned when the light came on. I left the room to check on the kids. Mary Kate was in her room, lying on the bed and listening to her iPod. She was already dressed in her practice clothes. She looked up, smiled at me, and gave a small wave. I pointed to my watch and put up my hands. “Ten minutes,” I mouthed to her. She gave me a thumbs-up sign, closed her eyes, and went back to listening to her tunes. Patrick was in the study playing on the computer. I could hear the ping-ping sound of some game he was engrossed in. He looked so grown up behind my battered oak desk. “Hi, Dad. Mom’s sick,” Patrick said in his squeaky voice. Not quite boy, not quite man. He was going through that horrible stage of adolescence that I remembered only too well. “Playing Warcraft. I’ve leveled up again,” Patrick said, his attention back on the screen. I went through my usual routine of getting everything ready for practice, putting the situation with Erin at the back of my mind. I grabbed some oranges from the fridge, tossed them into a container, and carried them outside. In our detached garage, I pulled a bag of ice from the deep freezer. I poured filtered water into the lime-green ten-gallon portable cooler and then loaded everything up in the back of our Dodge Durango. We lived just one street off St. Charles Avenue, in the heart of the Garden District. When my father died, he willed the house to my brother and me. My mother had died some twenty years earlier, of multiple sclerosis. My brother Chris, who liked to be as far away as possible from the daily grind of New Orleans, liked living in the suburbs of Metairie. So I bought out his share of the family home, spent some dough renovating the hundred-year-old Victorian mansion, and moved my family in. The imposing main house was four thousand square feet and situated on a prominent corner lot facing Valmont Street. We had a large pool, a hot tub, and an outdoor kitchen that were well used. The garage faced a corner street, and we’d put in an apartment above it to serve as my wife’s art studio. Just as I closed the hatch of the Durango, I turned around and came face-to-face with a stranger. I jumped back and banged my elbow. A tall black man stood before me, his clothes soiled and torn and his posture stooped, although his frame still appeared strong and muscular. I was used to homeless people asking for handouts around the French Quarter, but it had never happened in my own backyard. I looked at the gate and saw it was standing wide open. I had forgotten to lock it when I came home. Even though I felt we lived in a relatively low-crime area of the Garden District, we always locked the driveway gate as well as all the doors and windows to the house and apartment. We also had an alarm system in the main house, but like most people, we usually forgot to set it when we were home. My heart began to slow to a normal pace as I reached into my front pocket. “What’s your name?” I asked the gentleman. “Moses.” When he spoke, I could see perfect, straight, white teeth which looked out of place with the rest of him. He wore a filthy trench coat, even though it was almost eighty degrees outside. His shoes were caked with mud, and his fingernails were long and had dirt underneath them. But those teeth were sparkly white and straighter than mine ever could be. I handed Moses a twenty-dollar bill. “Thank you and God bless.” I watched as Moses walked through the gate and disappeared. I started to follow him to lock the gate, but something stopped me. I looked up at the second-story window and saw my wife peeking out through the blinds. She quickly shut them. As I stared at the window, I tried to shake off my uneasy feeling. I headed back inside. “Time to go!” I yelled from the kitchen. I heard the kids bounding down the stairs. When they reached the kitchen, I instructed them to get in the truck and wait for me. When I walked into the family room, Erin had her back to me and was rooting around in her purse. She was dressed in khaki shorts and a white T-shirt. “You don’t have to come if you’re not feeling well,” I told her. When she turned around, I saw that she was wearing dark sunglasses. She had a smile on her face. The one where her lips were tightly shut and the corners of her mouth were struggling to maintain an upward battle. I instantly recognized that kind of smile. It was usually reserved for when she was trying to act like everything was okay, but she was mad or upset. I usually ran the other way when I saw that smile. But now I just wanted her to come out with it so we could go back to being honest with each other. She shook her head and walked toward the back door. This is how we communicated lately. With body language instead of honest words. Sometimes I felt more like her child than her husband. “You sure you’re okay?” I called after her. She still looked a little pale, and it worried me. I felt my concern ease a little. It seemed she wanted to pretend things were normal as much as I did. Fifteen minutes later, we were on our way to the city park. As we drove down St. Charles Avenue, I looked for Moses, but didn’t see him. I thought about his white smile and unusual name. Practice went well, as usual. But the whole time, I couldn’t get Moses out of my mind. The more I thought about him, the more I was sure that I knew him from somewhere. I didn’t think he was a past client, but O’Malley Bail Bonds had helped thousands of people and I couldn’t remember all of them. We had what my brother termed “frequent flyers”—those people who we’d bail out of jail on a monthly basis—and I was pretty sure Moses was not one of those. On the ride home, my brother Chris called to see if we needed anything from the store. “Baking potatoes,” I told him after consulting with Erin. I let Chris know that we’d be running a few minutes late since Erin needed to drop off a painting to a client..
After stopping at a gas station to fill up the Durango, we headed for the French Quarter. Antoine’s was a popular French Creole restaurant for tourists and locals alike.. I knew Erin was excited to finally get her artwork displayed there. As we were on the outskirts of the Quarter, I heard a thump come from the back of the truck and felt the vehicle become suddenly unsteady on the road. I got out and inspected the rear tires. As I’d suspected, the left rear tire was flat, and I could see a gaping hole in it. How the hell did that happen? I thought to myself. Just as I was getting up, I felt a hand on my shoulder. For the second time in the space of a couple of hours, my heart thumped loudly in my chest and an uneasy feeling washed over me and made the hair stand up on the back of my neck.